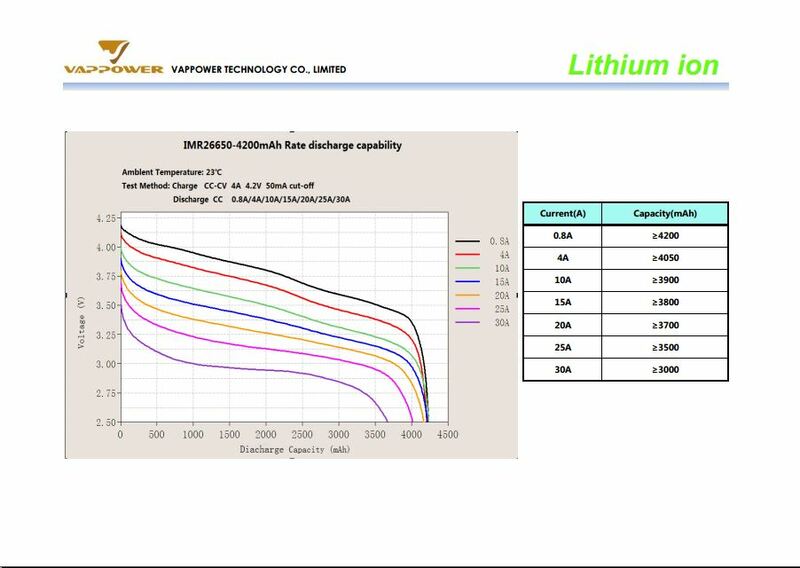 These are very good performing batteries. Last a very long time. Excellent love these batteries. This battery has performed really well in both of my 26650 mods. I get the weak battery message at more like 1/3 of battery remaining instead of at a little over half way in my VT75. 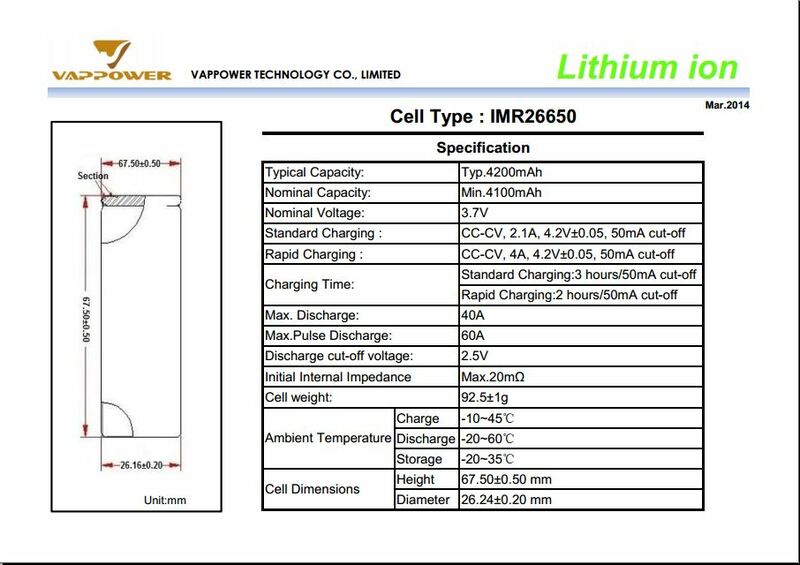 I had read a review of the best 26650 batteries, and the Vappowers were among the top of the list. I'm not dissapointed. I've been vaping at 60 watts at .17 and they stay strong; much better than the Imrens I had been using before. Great battery. Lasts a full day no problem for me around 65 watts! I recently picked up a new mod that required a 26650 battery. Kidney Puncher was out of these batteries so I asked to be notified when they were available and ordered a pair of EFEST 26650's. I was unimpressed with the mod with the EFEST batteries. About a week later I received a notification that the Vappower were available. Wow! They completely cahanged my experience with this mod. Better vape and much longer life than the EFEST. I highly recommend these batteries. I have these 26650's as well as models from MKNE and EFEST. These out perform all of them by a long shot. Vape time, disharge, the whole sha-bang. Can't speak to Sony 26650's or any others, but I will buy these again for sure. these batteries are the best I ever used. I truly recommend them to anyone who sub ohm builds on a 26650 mod. I've tried the competition and to me there is no compare. They stand up to gplat 20 gauge builds at .08. Like all batteries know who you are buying from and know what your pulling when you go below .10. Thank kidney puncher for stockimg these. I bought 2 of these for my mutant v2 and just one lasts me the whole day! They hit harder than my mnkes too, making my mutant my new favorite mod. I liked the batteries so much I ordered 2 more, as I intend to use the mutant a lot more now.